Picking the best out of multitude of things is not an easy job and when it comes to custom ROMs the job becomes even tougher because of the variety and nature of ROMs. 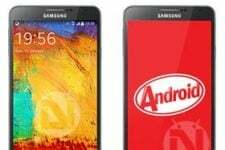 That is why the the title of the this article reads “Best custom ROMs” and not “the Best Custom ROM” for the Verizon Galaxy S4 SCH-I545. Our great Devs keep working hard to add, alter, omit, modify and customize the elements that build and run our devices and produce new results by amalgamating various ROMs mentioned above. Thus, you can have a custom ROM with the features of TouchWiz UX from Samsung and the look and feel of the pure AOSP on your Verizon Galaxy S4 SCH-I545. they remove the useless bloats that feed on RAM and battery, tune up the system, clock the processor, reduce lag-delays, integrate mods and ports develop by various developers, and so on. If you feel that your VZW SCH-I545 is not performing well with the stock firmware despite of its lavish specs, you should consider installing a custom ROM to get faster performance and better battery life. Since stock TouchWiz does not support theming, custom ROMs are the best way to quench your artistic flare and love of customization. You can install a themed ROM or a ROM, like CyanogenMod, PA, Carbon, etc., that supports themes. In the current article, we’ll see various types of ROM with different bases. I’ll try to include at least one deserving representative from each category. Grab the flavor you prefer or keep changing your taste by flashing all in turn. It depends on you. The aim behind writing such a post is to save your time and keep you away from “this or that” situation. As time passes, we’ll see more and more ROMs coming our way and aggravate the confusion. I’ll keep updating the post with the latest and greatest arrivals, but always the ones that are best in their class. Also, the ROMs listed below are in no particular order, so do not take it as a countdown or top 5 or top 10 sort of listing. I’ll keep updating the post as new ROMs arrive and thus you’ll notice changes as time passes. To install any custom ROM or mod on your Verizon Galaxy S4, you have to root your device and install a custom recovery software like ClockworkMod or TWRP on your device first. If you have already done it, go ahead and pick the ROM that suits you most, but if you still have an unrooted device, it high time to root it. As a Galaxy S4 user I always prefer a ROM that only takes away the bugs, lag delays, unwanted bloats and everything that users hate about Samsung stock ROM, and at the same time preserves all stock features for which we spent fat amount of money. HyperDrive aims at giving the pure TouchWiz look and features without any clumsy theming. The ROM is much faster than what you experience on Galaxy S4 with official firmware. As you dig inside the app drawer, you will find an app called “HyperDrive Control” that open the gate to the customization of your phone your own way. 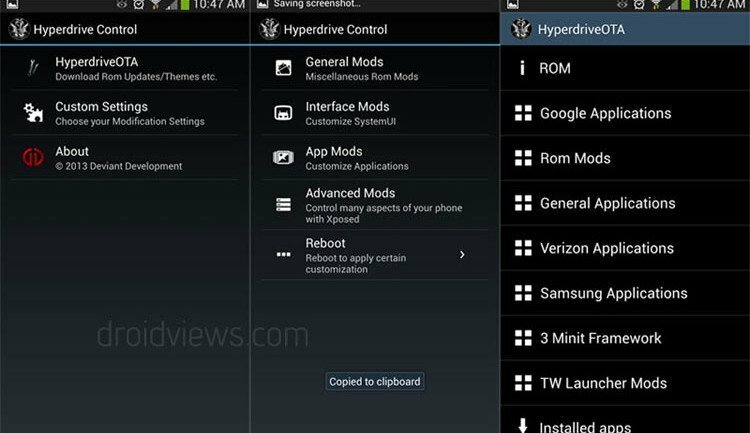 The HyperDrive Control is an unified control panel from where you can manage various aspects of the ROM on your device and also customise it different kind of mods. The ROM doesn’t compromise with the performance of your Verizon Galaxy S4 and at the same time the developer, Scott Breen, also ensures that you get most out of it. HyperDrive ROM has been aptly optimized to give you a smoother user interface and various power-saving oriented tweaks ensure that you enjoy a very good battery life. We recommend this ROM to all who want to enjoy their Galaxy S4 with all its bells and whistles with better performance and battery. Jelly ‘Bean’ used to be my favorite, along with thousands of other users, on my Galaxy S3. The ROM is also available for the Verizon Note 2 and it is very popular too. When the Galaxy S4 released, I was just wondering if Beanstown, the Dev behind this ROM, would consider extending Jelly ‘Beans’ series to this new smartphone! 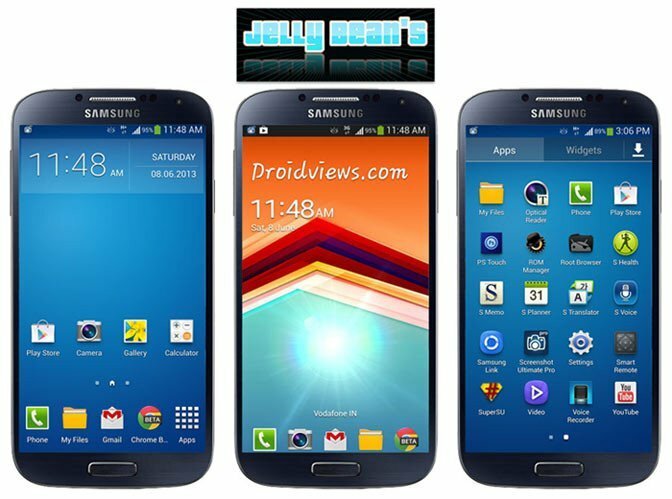 Finally, Jelly ‘Beans’ has arrived to the Galaxy S4. All props to its hard-working developer! One of the reasons behind the popularity of this ROM is its amazing blend of stock TouchWiz features and pure AOSP look. If you do not like the look and design of the user interface of your phone with official firmware and pine for Holo feel of AOSP, you would not find a better choice than Jelly ‘Beans’. However, theming is not the only thing that makes Jelly ‘Beans’ a really good option as a daily driver for your Verizon Galaxy S4. In fact, the AOSP theming is not yet available to Galaxy S4. The ROM has arrived just a few days ago and it is at a nursery stage currently but I do believe that as time passes more and more features including the AOSP look will follow pretty soon. The list of features doesn’t end here but I cannot list them all in this article. As for the performance part, Jelly ‘Beans’ is very stable. It runs smooth and fast. Go for it! 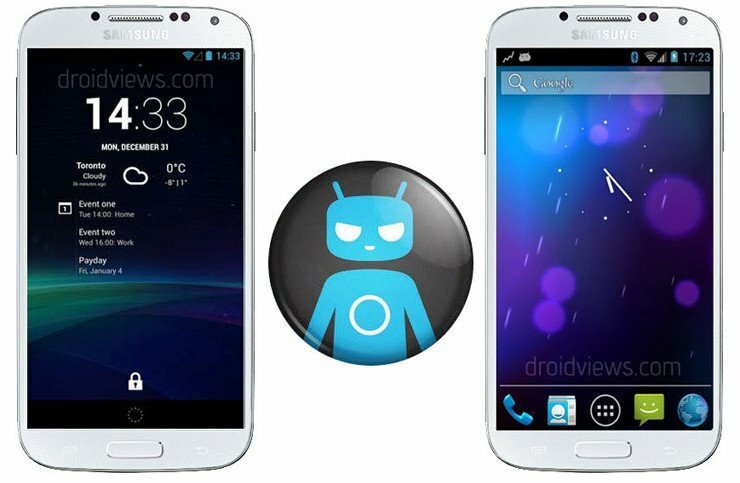 CyanogenMod ROM does not needs any introduction. 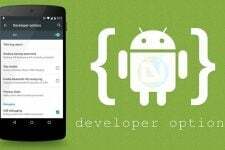 If you are familiar with Android, you must be familiar with, or even used, CM. Ifeel myself so humble while I write these lines. If there is one original custom ROM for Android, it’s CyanogenMod. It has influenced and has been an inspiration for so many developers and ROMs. CyanogenMod ROM for the Verizon Galaxy S4 SCH-I545 is currently available as nightly releases but the stable build will be available soon. I tested the ROM for 4 days and I was impressed with it. It is stable and fast and yields good battery life. Must try this ROM if hate TouchWiz and want the look of pure Android without artificial puddings and speedy performance. Please note that all AOSP and CM based ROMs do not come with Google apps pre installed as you find in Samsung’s TouchWiz. Therefore, to get apps like Google Play, Gmail, Google Now, Maps, Play Music, etc. you’ll have to flash the Google apps zip package separately. You can find the link to the latest Google apps below. (The current build of CM ROM for the Verizon S4 SCH-I545 requires your device to be on the latest build version I545VRUAMDK. So do not proceed if it does not have it. You can check it from Settings> More> About. If you have a different Kernel than mentioned above, download the appropriate Kernel from below and install it using Odin. The Synergy Team has one of the most refined brains when it comes to Android development. The Synergy ROM is an excellent example of good ROM with various nice and exclusive features. 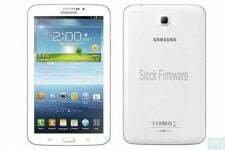 The ROM is based on the latest official firmware for the Galaxy S4 let your enjoy the stock TouchWiz with added flavor. The bloats have been removed for good. The tweaks done by the developer have made it perform faster and due to a number of power-saving measures the battery performance is great. Fully Deodexed, Zipaligned, Busybox, Build.prop tweaks, etc. Exclusive: Samsung and Verizon loggers that check CSC, ringtones, bookmarks, apps, etc, have been blocked. Multi-window supports all apps natively without any 3rd party app. Smart Stay icon shows up in status bar only when the service is actually running, not always. A lot of miscellaneous tweaks, additions, and enhancements. A “relentless pursuit of perfection!” , I am quoting these words from one of Scrosler’s, the developer behind Clean ROM, just to give you an idea of what he seeks to do in all his work. Here is a very good ROM from a sophisticated developer who hardly need an introduction if you are an Android monger. It is definitely a clean ROM as all bloat apps, from Samsung and Verizon both, and other useless stuff have been removed from it. The ROM shows significant improvement over the lag-delays that sticks with Samsung’s TouchWiz like a stain. The ROM is pretty stable and performs fast. It is lighter in size that most TW-based ROMs. 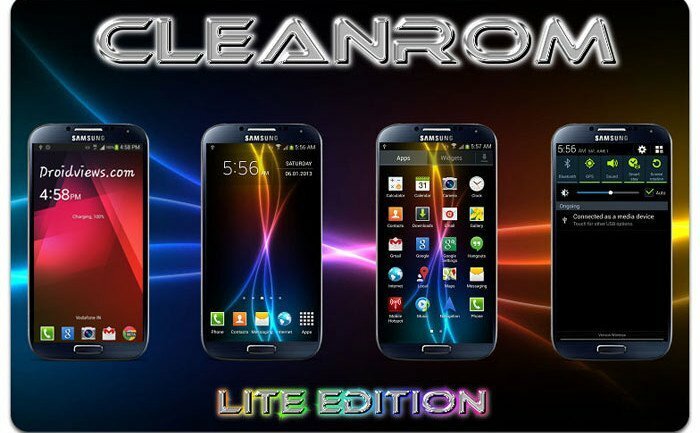 The list of features might not seem that long to you but believe me Clean ROM is less than none! Bare Minimum ROM! Almost all non-essential Samsung and Verizon apps are gone! Page rotation on launcher and app drawer! Nexus 7 and 10 Ringtones! We’ll be adding more ROMs to this list as we test new ones and find a deserving custom ROM. Currently testing Carbon ROM! Do you have a good ROM in mind? Please share with us! Currently, the ROM is one of its kind for the Verizon Galaxy S4 and reminds of the advanced builds of the Jelly Beans ROM for the Galaxy S3. The AOSP theme gives it an elegant look and the blacked out inverted Google apps, a pinch of freshness. 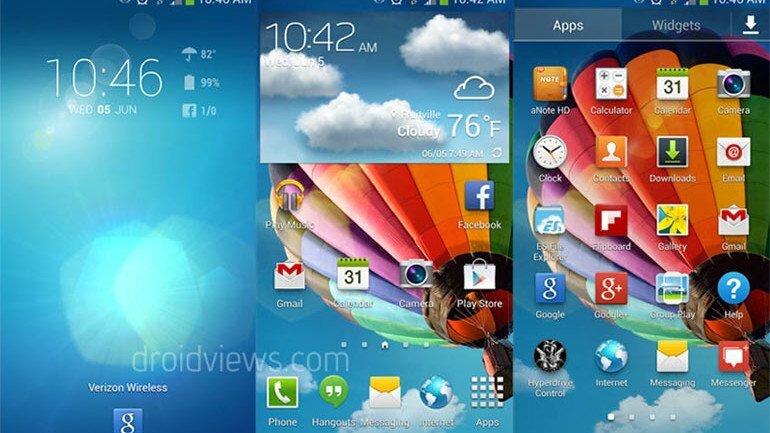 It is based off of the latest Touchwiz 4.2.2 build for S4 from Verizon Wireless. Performance-wise, Eclipse S4 TW Edition is very stable and faster than stock TouchWiz. As for the battery life, its performance is more decent. Inverted Google Apps: Gmail, Play Store, Google Music, Google Calendar, Google Hangouts, YouTube, Google Now, etc. Do you have a suggestion for a really good ROM? Please let us know! Do any of these allow the phones to be used on another network or would you have to use them on Verizon still?If so – follow up question: are you able to enter the SMS message center numbers or is this option still blocked out in messaging settings (Verizon does this since they do not use SIMs)? Hello , does someone can help me? hiperdrive control and all of the languages are not appering im my phone. Please!!! Take a look at your bullet points for the eclipse ROM..
Have you used liquidsmooth or carbon or pacman rom? If so, how were they? Carbon and PAC are good AOSP based ROMs. Tried Eclipse and liked it but I must say I’m partial to my Hyperdrive. Release 6 came out the other day and I wiped and installed it. Aside from the fact that I like it’s feature set, what an impressive installation program! I honestly didn’t know you could do those things in recovery mode. A side note. I was out of town and couldn’t take a chance on not having my apps/data when I reinstalled. I did an installation and preserved the data. Worked flawlessly. However, I still always prefer a fresh installation so when I got home I did a clean one. I know you hate to do this but which is your favorite today? I’m still using Hyperdrive right now. Nah! Kane, I love doing this and that’s why I started the blog. Eclipse ROM is currently the best ROM for Vzw S4. Try it and you’ll love it. K, I’ll try it. One of the features I’d like about Hyperdrive (if it worked) is the LED notification color configuration feature. It’s kind of a big deal to me but I can’t seem to get it to work. Could not get this app to work for me. Although as I type this it dawns on me that I had enabled the LED features in Hyperdrive. I think I’ll try the app again with my fresh installation. Did not get you, pal! Eclipse tw base is the best I have run thus far. Right, tested it a couple of days ago. Inverted apps look really nice. I will add it today. Thanks. synergy appears to have problems with downloading apps. Hi, just got it checked, no issues here. Try to update Play Store, reboot device and try again. I’m trying to install Hyperdrive. It fails zip verification (running TWRP) when installing but I checked the md5 of the zip and it’s correct. Is it safe to install and turn off zip verification? I unzipped on my computer to check it out and all the files appear to be where they should. Yes you can proceed but do not proceed without backing up the stock rooted ROM in TWRP. Thanks, I did. It’s booting up now. Hopefully I’m not stuck in a boot loop because it installed really quickly (but gave no errors). BTW, I switched to TWRP (using GooManager) from CWM and I love it’s interface. Unfortunately it has the same problem with wanting to date all backups 1970 but I suspect that has more to do with how the S4 clock works. I tried TWRP just to see if it would name the backups correctly. As I said, unfortunately no. If I have any trouble I’ll switch back to CWM but I really like the interface. I’ve never tried CWM touch, is that what you use? Hyperdrive installed properly the 2nd time so I’ll check it out soon and let you know my thoughts. I was a little disappointed when I saw that some of the Samsung bloat wasn’t removed but I can do that myself. I am currently using normal CWM. Hello sir, just FYI, I updated the article today. Try Eclipse S4 TW Edition ROM!